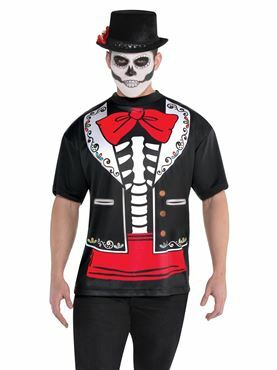 Get the Instant Dead Look in our Adult Plus Size Day of the Dead Senor Jacket! 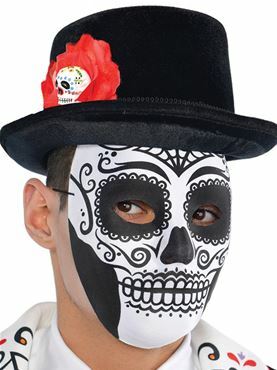 Get Dead Spiritual this Halloween as you Celebrate the Popular Mexican Holiday! 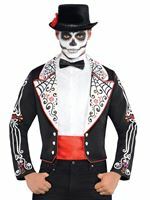 The Jacket features the Black Tailcoat Jacket with the Patterned Bone Print Down Each Arm along with the Spider Web Detail on the Lapels. 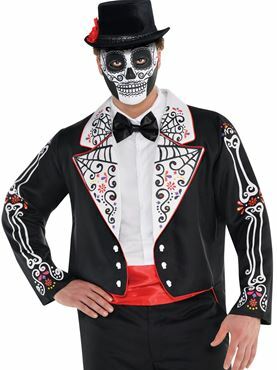 The Jacket also includes the Skull Faux Buttons and Red Cummerbund. 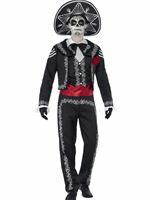 Completing the Day of the Dead Senor is the White Mock Shirt and Black Bow Tie. 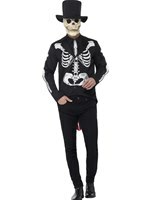 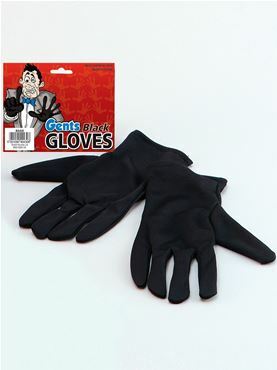 Please note that the Trousers and Top Hat are not included. 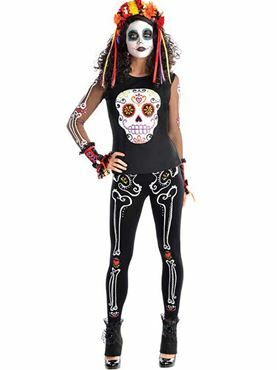 Plus Size 48" - 52" 37"